PNA Insurance – Protection and Accumulation! PNA Insurance is a full-service insurance and financial agency based in San Diego. Insurance policies we provide include: Life, Health, Annuities, Auto, Home, and Business since 1988 founded by Kenny Phan. At PNA, we are representing several insurance companies with Living Benefits are included on all policies…at NO additional Cost! We like to call them “Life insurance you don’t have to die to use”! Accelerated Benefits Riders are optional, no-additional cost riders that can allow you to access all or part of your death benefit, while living, if you experience a qualifying terminal, chronic, or critical illness, or critical injury. 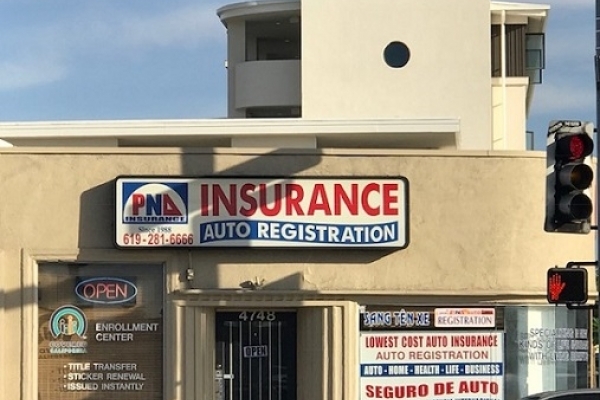 In addition, PNA is one of the few agencies in California that provides Auto Registration Services for your vehicle, including: instant title transfer, sticker renewal, license plate substitution etc... These services are instantly provided at our main office so you can save time and avoid the long lines at the local public service agency. We have been in business since 1988 and have served thousands of satisfied clients in the state of California. Our commitment is to help you make the right insurance decision through competent, reliable, and excellent professional services. We are an independent agency representing over 50 insurance companies. As such, we have many companies to search for the lowest rate so you don't have to shop elsewhere. With extensive training and dedication to our work over the past 30 years, we will make your insurance purchase a smooth one. At PNA Insurance, we serve our clients with the highest standard of care and integrity. Recognizing that insurance can at times be complicated and confusing, our agents are well-trained to provide you with complete and accurate information so you can make the best insurance decision for yourself and your loved ones. As independent agents, we offer top quality insurance products from the nation’s major insurance providers with the most competitive rates so you can select the program that best meets your needs and budget. Our friendly agents will be happy to hear from you. Remember the motto of PNA Insurance is protecting and helping you and your family to accumulate the financial needs.